The fourth among the first universities set up under British rule, Allahabad University (esb 1887), once famously called as the ‘Oxford of the East’ for its academic excellence and vibrant campus culture, is struggling to regain its lost glory. 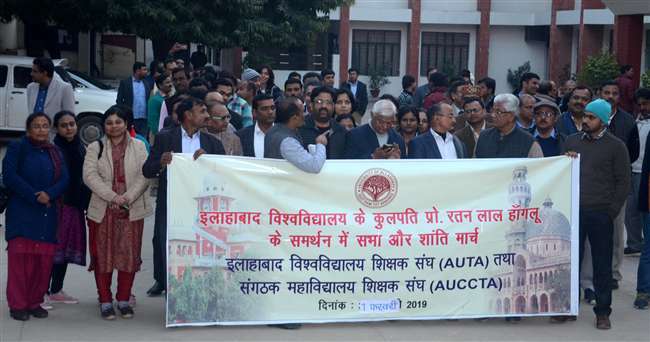 Made a central university( An Institute of National Importance) again in 2005 with the objective of improving its funding and working, AU’s new innings of last 12 years as central university continues is still fraught with controversies than an enthusiastic revival. Latest in this saga is the decision of Allahabad University Teachers Association (AUTA) and Allahabad University Constituent College Teachers Association (AUCTA) to go on indefinite strike and even repeat a BJP loss in Allahabad constituency as was done to Dr Murli Manohar Joshi in 2004, if union HRD ministry initiates yet another inquiry against the vice chancellor, Prof Rattan Lal Hangloo. In an extensive interview to Autar Nehru, Prof Hangloo some time back talked about the controversy in detail. 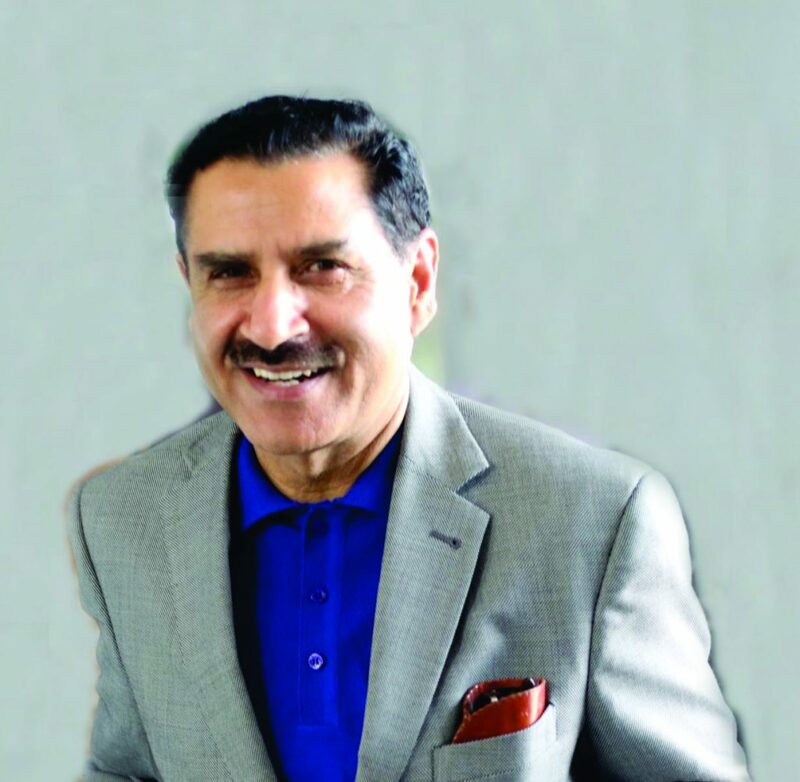 You took over as the Vice Chancellor of Allahabad University at a time when the perceptional decline of the Allahabad University was so obvious that some people had already started writing its obituary. Was it so bad that you had to make a complaint to the President of India? I had heard lot of great things about Allahabad University but when I took over in 2015 all my perceptions about this institution changed very quickly. There was no academic atmosphere there was fear both teachers and nonteaching staff were demotivated and many students were suffering and were uncared. Some of the university buildings were illegally occupied. The people holding responsible administrative positions were brazenly involved in corruption and favoritism. There was no academic routine and calendar. Each institution has a dignity and grace of its own and Allahabad University had lost that. There are number of factors responsible for that it is not that all teachers and students were responsible for its decline. Basically before the university became a central University there was a Vice-Chancellor named as Chuni Lal Khetrpal he not only neglected his duty of maintaining what was passed on to him as Allahabad University for his personal benefits. He was running some bogus institute in Lucknow.He made some appointments without posts and depended on mediocre academicians because he had no interest and was himself a very low grade person. Even after retirement he latched on to university repeatedly as executive member to protect his wrong doings. When University became central another person landed as the Vice-Chancellor as Prof Rajen Harshe he had no knowledge of university affairs. He totally messed up the university and it really collapsed. I give only couple of examples he promoted some nonteaching staff into teaching staff violating all rules. The case landed into litigation and that is how he ruined their career. He ordered construction of buildings with crores without any budgetary provision. You can imagine the building that was supposed to be handed over to university in 2009 has not been done even now. He was really like a joker who took nothing serious except learning music at his residence and remained surrounded by a bunch of fools. After him Prof A.K.Singh a reputed scientist of Bombay IIT became a vice-chancellor. He tried his best but due to the actions of previous vice-Chancellors the university had already lost the academic atmosphere and had become a battle ground where caste, prejudice and corruption had penetrated to such an extent that a big bunch of brilliant teachers also were rendered incapable in performing their duty.Prof A.K.Singh was forced to resign. That was the victory of all evil forces that were plundering the university. After Prof A.K.Singh left the university had two acting vice-Chancellors.who was neither reputed academicians nor had they any knowledge of university administration they did not miss any opportunity to further mess up things to say the least. These were the circumstances when I joined I discovered that there was lot of corruption and mismanagement so I thought it was better to inform government about the mess created by my predecessors. The University never had vision of a Central University. As a matter of fact, there were no systems in the University and there was general decline in academic, administrative and financial system. It was my duty to inform the Hon’ble President of India, who is also the Visitor of the University about the decadent system. You were targeted for taking on a system where vested interested have entrenched for too long. Now do you stand absolved of the allegations against you? Yes I was given lot of trouble because when I tried to put the system in place those vested interests sent scores of false complaints to PMO, MHRD, Honourable President and other agencies. These complaints were baseless I sent the reply and the matter ended.They also incited students to throw bombs and stones on me and even threatened. Did everything possible and nasty to force me to resign and go back but then one day when in one college function when some people tried to attack me and same day they were found with MHRD minister in pictures near chandauli I thought it was too much and decided to resign but to my surprise I found hundreds of teachers and students demonstrated and appealed me to stay back they told me this was the pattern adopted earlier also by these criminals. I was hurt because the government should have verified these complaints. I give you couple of examples. A complaint was filed against me that I spent seventy lakhs on VC residence renovation. When the matter was looked into it was found that it was only seven lakhs during previous VC in 2013 and not in my time. Another instance is that we conducted selection committee for faculty in Hindi Professor Kripa Shankar Pandey –a mediocre who happened to be head of department that time sat in selection committee with honourable presidents nominees subject experts, Dean and others who were part of the process total eight people for almost a week regularly signed all papers and all sections were done in camera and he signed on all papers like others without any unhappiness and protest but after this when people joined he began to harass them and wrote to MHRD and other agencies that he was not part of selection committee. You can imagine how mean people can be. When one does good work with selfless intention, he would be targeted. In fact, there was a group of few teachers, who did not want that the University should function in better manner, they were behind these designs. Even the UGC Audit team identified them and reported that this group is detrimental to the progress of the University. Now, they have been completely sidelined and have been handled with resolute will and action. Your action on hostel eviction and subsequent student protests and FIR, made headlines. Can you briefly put the events in perspective? You see Allahabad University has very few hostels and I discovered that they were occupied by criminals and these criminals were making bombs and pistols in the hostels.They were indulged in crime outside but hostels had become hideouts. One student informed court and Allahabad high court ordered us to vacate these criminals from hostels.We requested the police and got these vacated on the last day when Tarachand hostel which had become den of criminals was vacated these criminals mobilized anti social and burned some cars in university and Allahabad city and conducted violence. When media reported the same criminals again represented MHRD and asked them to send enquiry. Since it was court backed eviction and for betterment of students MHRD should have thought it before ordering enquiry but any way that enquiry also we responded and there was nothing in it but sending enquiry on false and petty complaints has lowered the moral of our DSW, Chief proctor and other officers who leave no stone unturned in protecting the university interests. Lots of items including firearms were recovered in that hostel wash out. While an overwhelming majority of both the teachers and students appear to be appreciative of your action on hostel occupants staying illegally, some people complain, the allotment of hostels is not being done in due diligence. For instance, the diversity of students living in these hostels, which fostered an interdisciplinary and different age group culture, has gone with course specific hostel allotment. Another big issue for out station students, who move on to next academic session is that they have to vacate the rooms in between for couple of months and shift their luggage, which is highly inconvenient for them? Then, it is not only that the capacity of hostels (3000-4000 students in a student population of 24000) is a problem, the dilapidated condition of these aged hostels makes them inhabitable especially in rainy season and there is risk of accidents? Another big issue is teacher vacancies to the tune of 60%. Now it has own ramifications in terms of outcomes both in research, research scholars and student progression. While teachers complain of overburdening and whole day teaching leaving little time for research and other pursuits, some people allege that research scholars are made to take classes and work as assistants? This is a serious issue because there are no teachers. There are around 600 positions of teachers vacant. I advertised these vacancies within one month of my joining in 2015. Then few persons, with ulterior motives, went to the court, which delayed the process. Again there was a verdict from the Allahabad High Court on teaching position; we had to re-advertise these vacancies. Now, the UGC has postponed the selection process in view of the SLP in the Supreme Court of India. This is our most important priority areas and we will do it immediately once we get clear direction. If you look at the teacher student ratio it is alarming. For past 22years there has been no appointment of teachers in our major departments. When I joined this university within two months we started process of appointment of teachers. We have completed this process in many of our constituent colleges.Then came the war between roaster systems on university level and department level I got both systems done for university and found the reserve category was certainly loosing around two dozen positions if it was based on department basis in our university. But it could have been sorted out if it was left to universities but it landed in courts and there are litigations and counter-litigations and the government has ordered postponement. But I can tell you if we do not appoint teachers many universities will close because guest faculty is no answer. Regarding research scholars taking classes I think they can assist as teaching assistants. You see these all problems require a comprehensive solution that can be done if we go for consolidation reforms in higher education rather I would say rather education in totality. We are doing some touchups but that is not sufficient and that is not even nearer to solution. Education system is changing it has to take into consideration so many variations and specificities region wise, strata wise, subject wise, specialization wise and both in technical and non technical education. Better and consolidated educational reform is cure to country’s many problems. In terms of infrastructure addition, modernization and capacity enhancement, in the past three years especially there is a forward movement. Can you briefly tell us the nature of this infusion and expansion and likely impact or change that it will make to gaps in existing infrastructure and demand? Lack of adequate infrastructure is a serious problem in the University. There is no big capacity auditorium in the University. Condition of classrooms and labs is also not up to mark. I took initiatives to renovate the administrative buildings. A completely renovated administrative block is there now, which is named as the Vivekananda Administrative Block, where single-window administration is being imparted. The Registrar and Finance Offices were also renovated. This is being done regularly for other buildings so that it will impact the quality of teaching, research and administration. In this University we have brought in revolutionary changes. I established one of the largest computer lab in this university which is in use 24/7 in our department of Electronics and communication. We had no computer science degree programme we have introduced MCA. We introduced PG courses in all our constituent colleges many of our courses are skilled based.. We have renovated some of the old facilities such as Bhattacharya hall and our north hall where in our distinguished lectures by India’s eminent scientists and social scientists take place regularly. Our Center for cognitive and behavioral sciences is rated the best in South Asia today it has been upgraded to center for excellence. There is urgent need for construction of new hostels. With my efforts, we are able to get grants for three new hostels.. We need more grant for construction of these hostels. Some of the hostels are more than hundred years old, which require immediate renovation and repair. We are trying for more funds for this purpose as well. I would also like to add that ours is now a fully solar energy driven university. You did make efforts to bring in modern technology including digital and IT & communication technology to admission process and other ERP processes, please throw some light on this? In fact, there were no such practices in the University. I introduced the PSO system in the Vice-Chancellor’s Office, where, we have accounts of daily expenditure. Then digitization of the dispatch was introduced. Efforts are being to replicate these systems in other offices. University website was very primitive and now we have a new and regularly website. On line courses are going on. Despite all what is said about the falling standard or standing of the AU, a lot of work including cutting edge is taking place inside the university. A number of teachers and scholars are involved in cutting edge research and research projects, can you list some of the important such works? There are good teachers in the University. They were de-motivated. I tried to enthuse a sense of motivation and provided necessary support to them. Now, we have entered in the MOU with different universities like Heidelberg, Germany, Tennessee, USA and so on. DST and DBT grant have also increased for the Science departments. In fact, these grants are one of the biggest in the country. Now, I can see there is a renewed sense of work culture and people are devoting time for research. It will certainly pay good results in coming days. AU is perhaps unique in the sense that it has undergraduate students learning on its campus. Because they are exposed to good academics, how do you think, this student segment can be helped to take for instance teaching careers. Our schools are short of quality teachers especially in science, maths, social sciences and languages? This is a good idea but there is no planning on this front too. Our teachers do provide absolutely brilliant training at the undergraduate level but then there are no opportunities forth coming. You see if state governments education departments do some planning every year as to how many teachers they require subject wise we in universities could correspond to their requirement. Unfortunately there is no system we have soaring unemployment rates not only because of growing population but because of no planning too. Both our undergraduate and post graduate students are doing very well wherever they are employed. When quality teaching would be imparted, students would also produce quality results. We have large numbers of students opting for teaching careers. This needs to be further strengthened so that our society can also benefit from these young and talented students. We are working in the direction of improving quality of teaching in all streams including science. Is there a proposal for setting up engineering and medical colleges by the university? No there is no suggestion as such. We are moving towards a more specialized era so Medical and agriculture or Engineering are established as separate institutions and there is no harm in that. But, my efforts would be more on improving the existing facilities so that qualitative results could be delivered. Once, it is consolidated then we may plan for further expansion. Traditionally, AU has been known for producing civil servants and officers for government sector. It has its own standing and reputation, but entrepreneurship and incubation is completing missing from AU. Don’t you think when we are not sure about careers or jobs of tomorrow with onset of AI, automation etc, AU needs to incorporate this change and transform its culture to a more holistic and contemporary outlook? Traditionally, Allahabad University has been producing civil servants and other bureaucrats. Diversification is the need of the hour. We need to diversify careers of the students. This requires infrastructure and faculty. We will factor in this suggestion and would focus on better linkages with the industry. We are changing the pattern after a big gap of more than couple of decades this year our 8 people got selected to IAS. Only few days back more than 40 of our students got placement in Azimprem ji’s company. I remember a year back nearly half the total jobs in states education system were bagged by our students from political sciences Our faculty is imparting training through various programmes and that is helping the students from this region to contribute their share in digitization automation and various other contemporary and cutting edge technology sectors. Our teachers and students are second to none.Even today it is our students who are occupying top positions in our country and making this university proud. Can AU contribute in making Naini another Noida and help the region’s economy evolve as a knowledge economy? Well we are always prepared to give our assistance to our State and Central government as and when required for betterment of our people and country. Naini, itself, requires special package for its revival as industrial hub. University would definitely contribute its best for the development of the centre, if there is a growing demand and need. AU is a legacy university do you any plans to get UNESCO heritage tag to some of your old sites? There is already Heritage protection to the old sites in the University like the Vijayanagaram Hall, Senate Hall etc. We welcome the suggestion for UNESCO tag and would explore it further. Some of our buildings such as senate hall and Vijayanagram are already enlisted as registered Heritage buildings whatever necessary for their up keep we will not hesitate to do that. Also, AU has been a hub of freedom movement and post independence has contributed many men and women of eminence to our nation, is there a kind of memorial or museum to showcase this? We are planning to decorate our heritage buildings with these great scholars, freedom fighters and others who significantly contributed to our nation building. on 15th August this year we have unveiled the statute of Shri Prem Chand in front of our English department because in 1921 he had done Bain English literature from our university. There is no such memorial or museum for this purpose. This is a good idea and we will explore to have such memorial in the coming days. Finally, what plans you have for the university in next coming years and where do you see the University heading and importantly at what NIRF ranking will you be aiming? Allahabad University has its own problems but it has its own specificities too. Well at present we are not competing with anyone. We are trying our best to transform this university into a much better academic institution that can correspond to growing challenges that our main land state and society is facing in Uttar Pradesh. Along with my colleagues this university should first change its mind set to enable it to throw up opportunities. I have a vision for the University, where students get quality education without any bias and great facilities for flow of ideas and thoughts in a free environment. Quality and dedicated teachers with adequate infrastructure of smart classrooms and labs are definitely going to improve the situation. Corruption free and impartial administration is another area for smooth functioning of the University. As far as ranking is concerned, we need balanced teacher-students ratio, which is highly skewed at present. We are targeting that we should be within the first fifty of the ranking. We will make all possible efforts to restore the glory of the University of Allahabad.